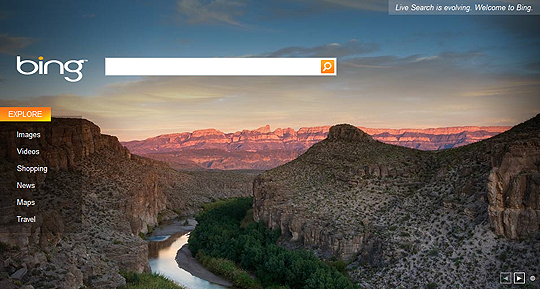 Ian Shive’s image of the Rio Grande River in Big Bend National Park, Texas, is a featured background for the search engine BING. This entry was posted in national park, photography, tearsheets. Bookmark the permalink.